Anybody is welcome to play at surflottery.com.au, whether you are Australian or not. 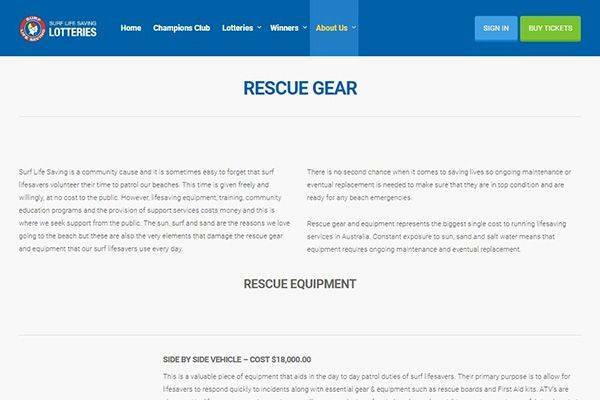 The surf lifesaving foundation is really a life saver as it runs six lotteries yearly. The players can either sign up for tickets online or receive hard copy tickets within fifteen working days of purchase. 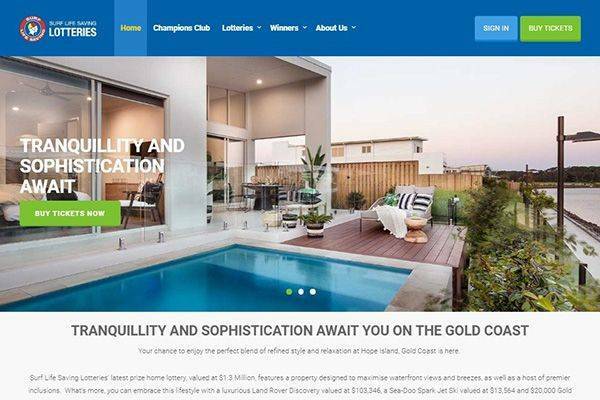 Online tickets are assigned on the day of purchase and as soon as you receive your tickets, you stand a chance of winning a house in Queensland, Australia. 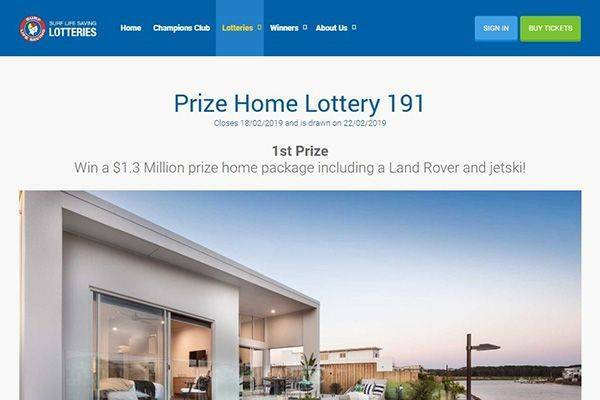 The first price winner in the December draw was rewarded with a house valued at AUD $ 966,000, and an infiniti Q60 3.7 coupe S premium, while the online promotion winner was rewarded with a Coles Myer Gift Card of AUD $ 1,500. Several other gifts have been given out through the Surf Life Saving Foundation, this implies that its lottery games are valid and real, with no forms of fraud or scam included. Several games go on simultaneously monthly and it all depends on how many games you are willing to play. The long and short of it is this; with surflottery.com.au, there are various ways to win big. If you are lucky enough, you could win prizes for each game you play. With several weekday draws to be played, you are certain to never miss a draw. Surflottery.com.au offers several lottery games namely: lottery 404, lottery 186. No mobile app is available for use with surf lifesaving lottery. However, its website interface has been programmed to be adaptable for use on mobile devices. This implies that you can visit the site and play draws conveniently, easily and anywhere and anytime. Therefore if you own a smart phone, iPad or a computer, you stand a chance of never missing any draw and playing to win big. Surf lifesaving lottery provides loyalty programs and bonuses for their players. Double entries into each draw are also provided and depending on the amount you spend, the number of entries can also be increased into their weekday draw prize valued at AUD 5, ,000. The prizes rewarded are not solely cash, gift cards, travel cards, gold, and other forms of prizes are available. These forms of prizes are usually not replaced with cash. 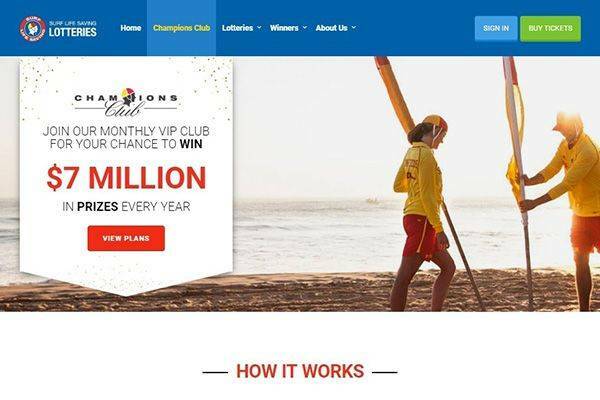 It has a bonus draw called the ‘ champions club ‘. 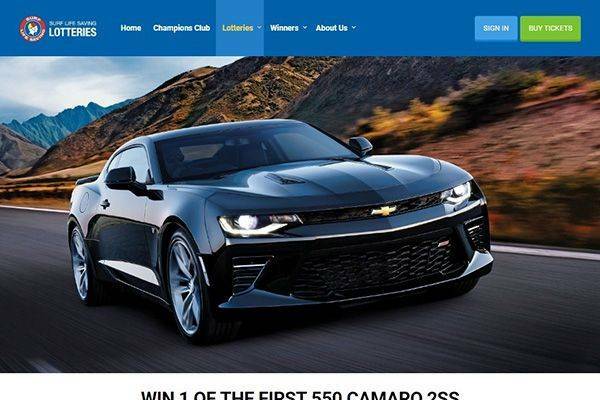 Members of the champions club receive exclusive entry into their $500 birthday draw and their $5000 weekday price draw. Online lottery tickets can be paid for using debit cards and credit cards. Since some of the prizes to be one are usually assets which are not cashable and located in Australia, it implies that most players have to travel down to Australia to receive their prizes. There’s a helpful FAQ page that is categorized for the users convenience. By chance a user to the site has an issue that needs custom support and not covered in the FAQ page, there are a number of options for reaching customer support. A contact form is available in the contact us page. 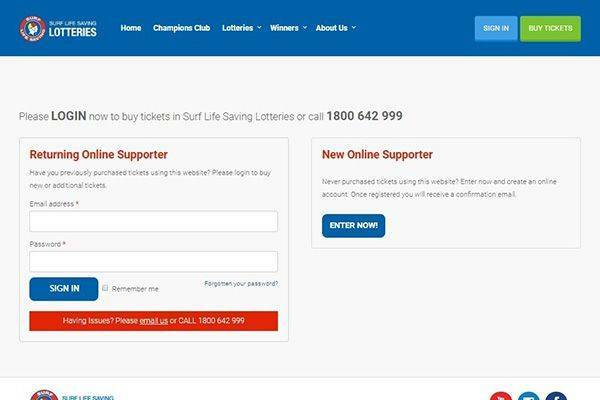 Is Surf Life Saving Lotteries legit or fraud? Yes, the site is legal. It is not a scam and it is highly legit. Being in existence since 2012, and recording several rewards given to users without information about fraudulent activities concerning the site, it can be said that the site is safe, and security of information given to surf lottery is guaranteed. Surf lifesaving lottery offers you multiple ways to win, and games are played daily in Australia, excluding national public holidays. Your information is very secure and is stored both in paper and electronic format. Once you provide your information to surf lottery, you agree to their terms and conditions. Surf lifesaving creates better communities and saves lives and through the sale of lottery tickets, funds are generated. This is really a great course to partake in.